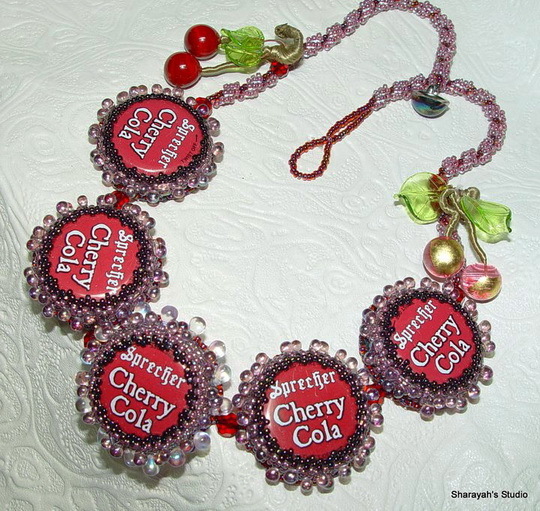 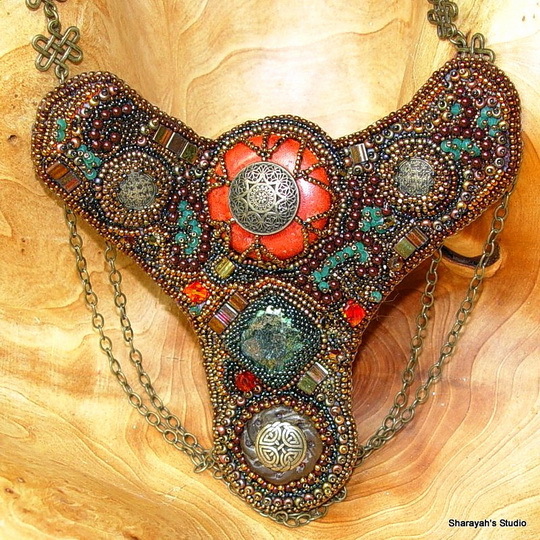 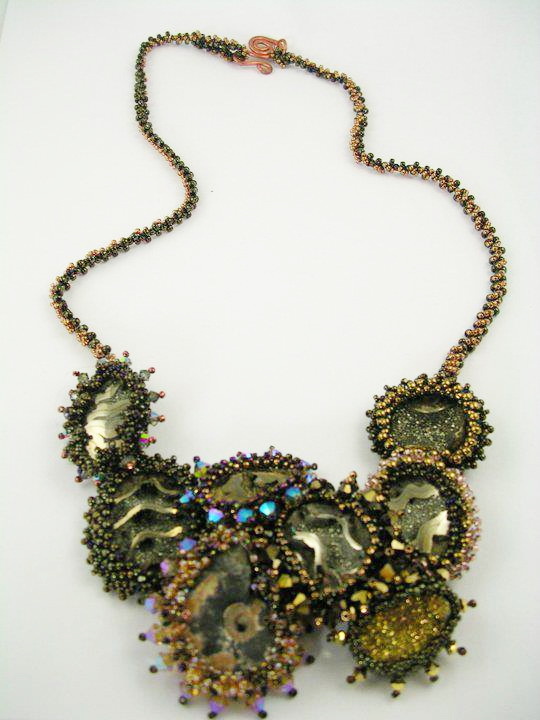 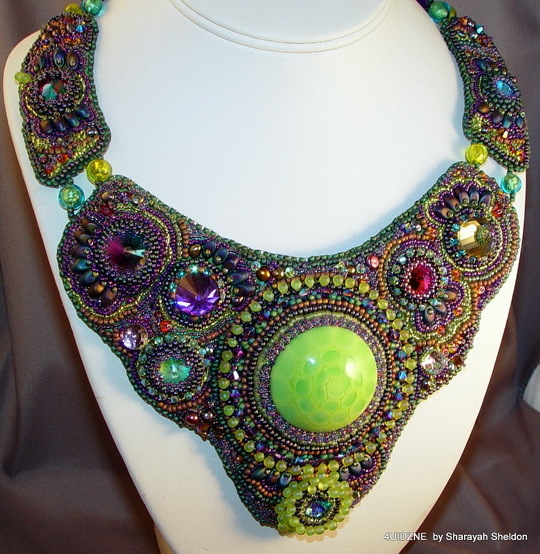 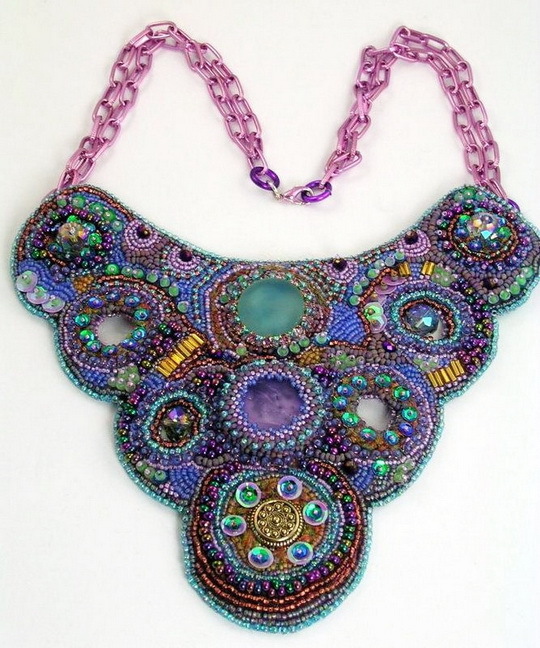 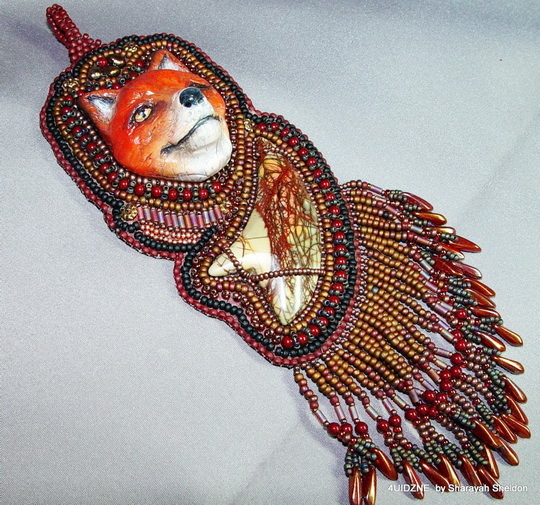 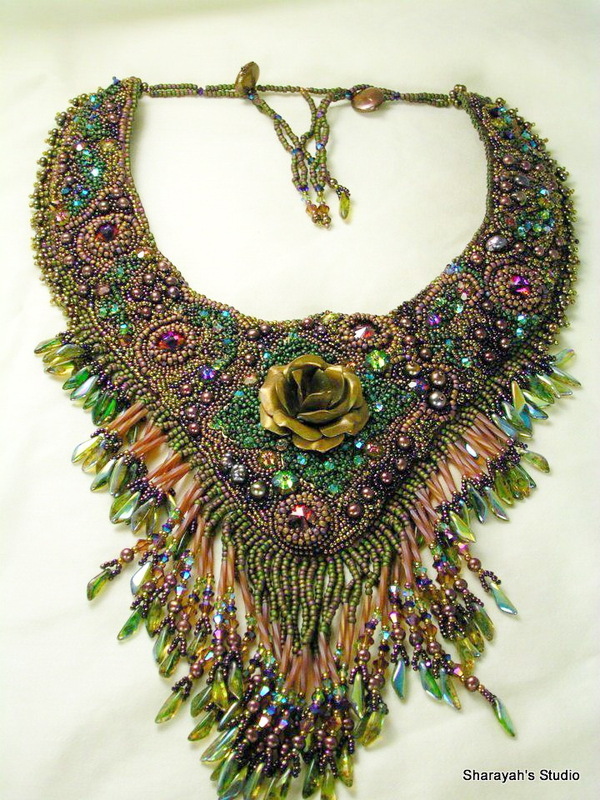 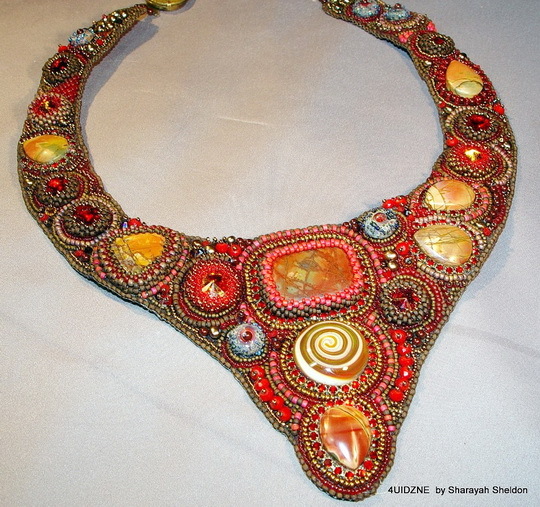 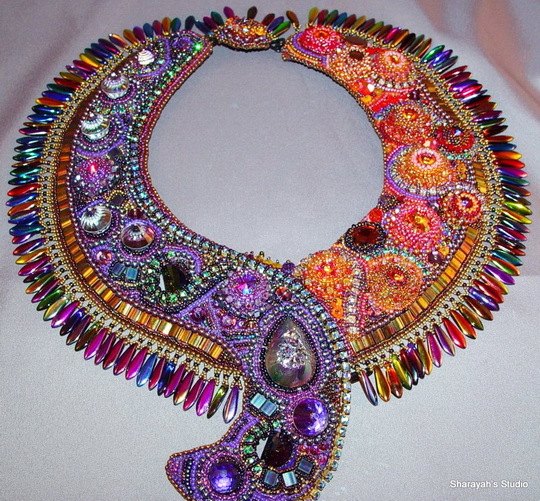 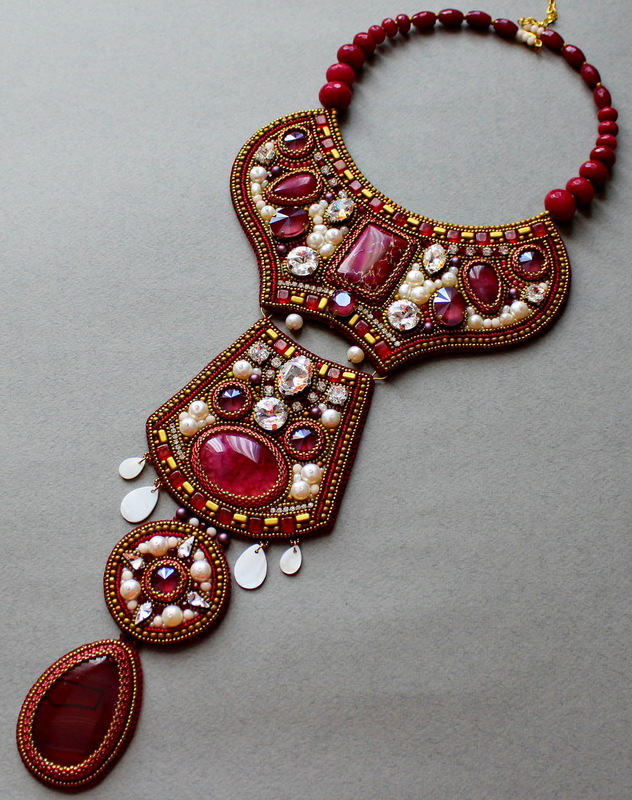 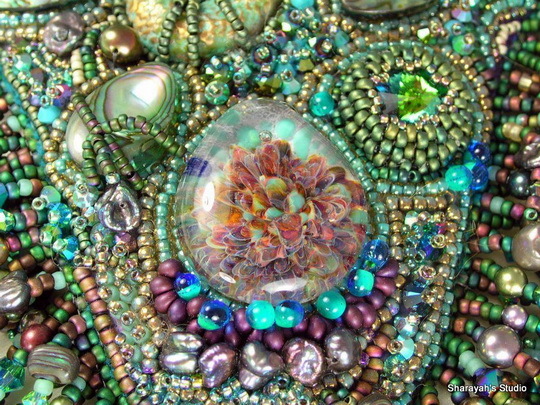 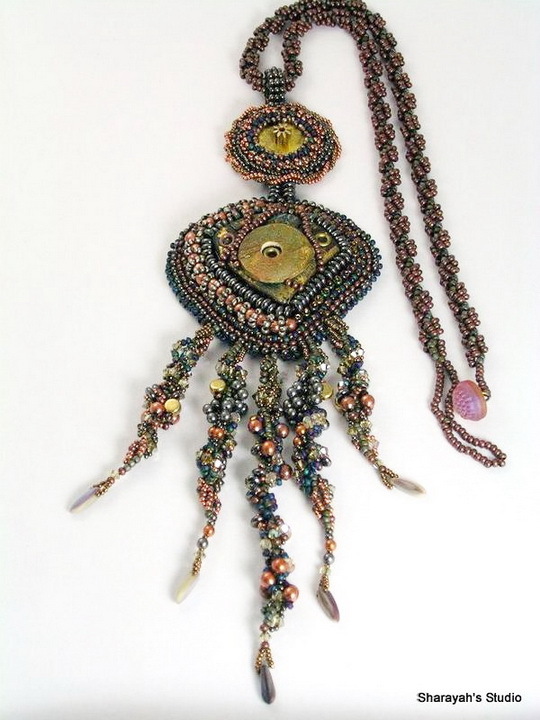 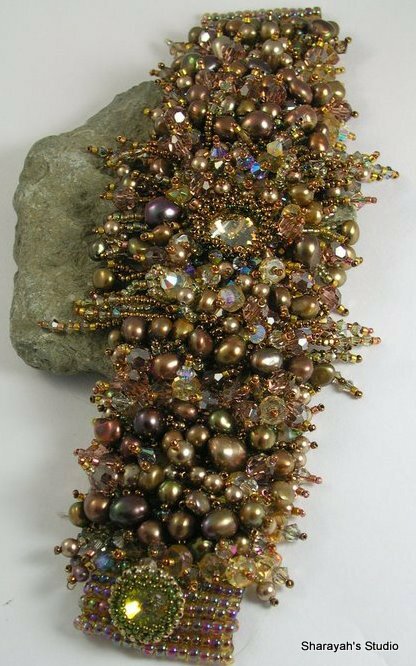 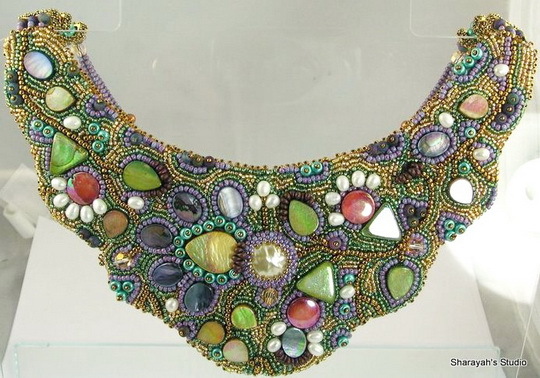 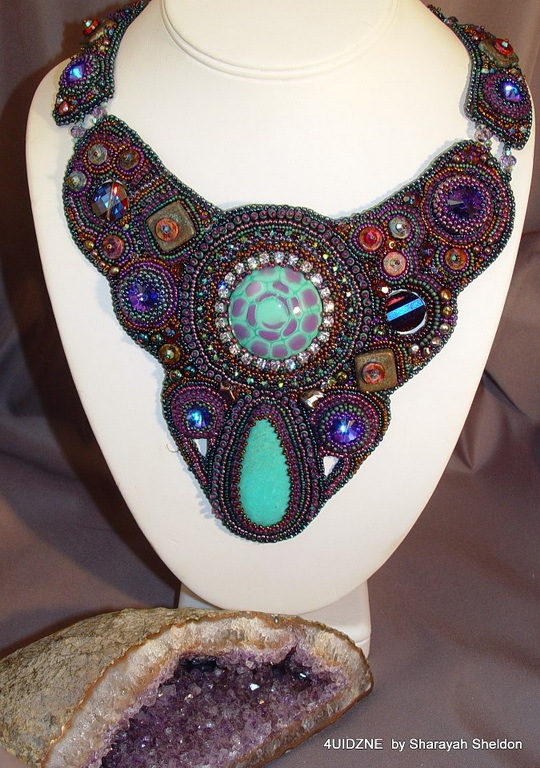 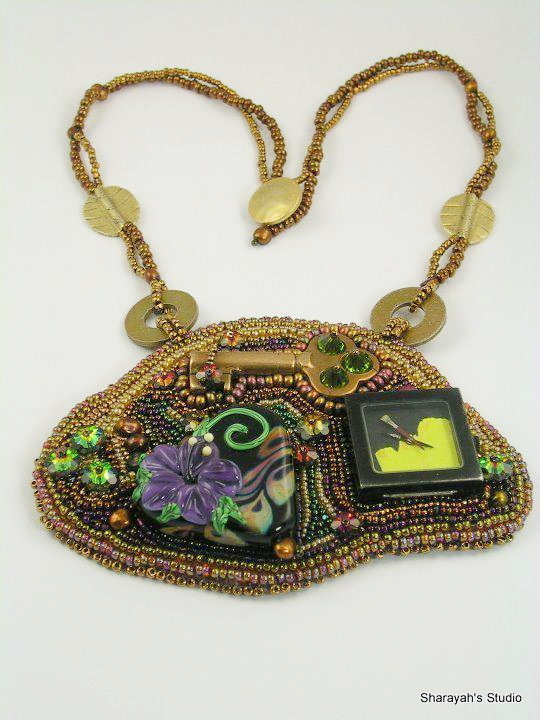 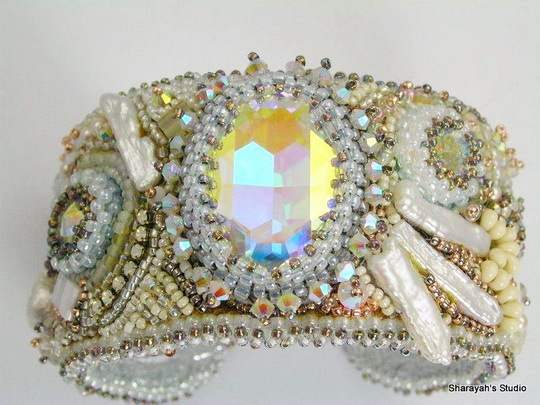 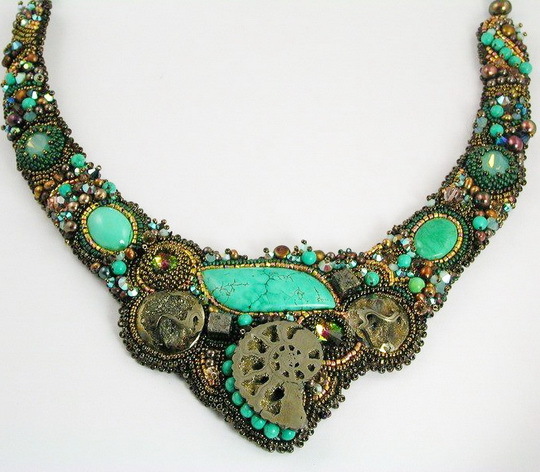 Sharayah Sheldon is beadwork artist from United States. 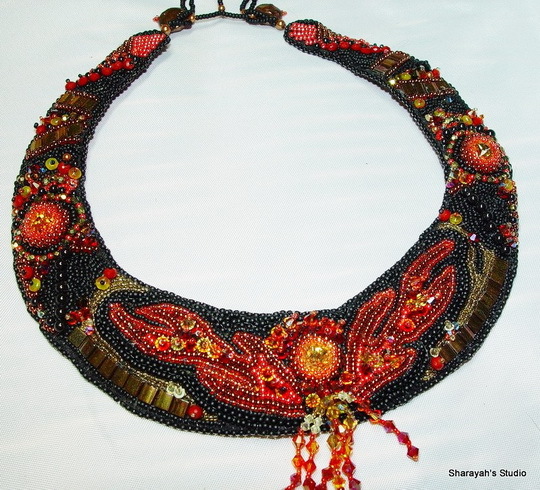 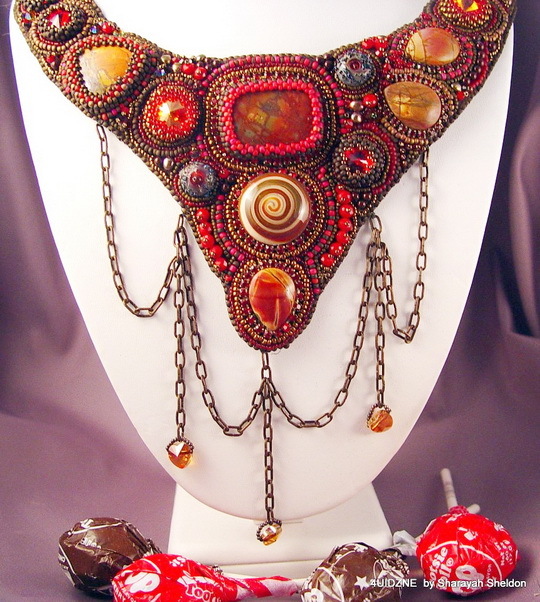 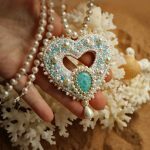 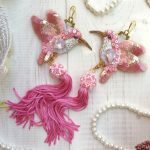 She makes beautiful seed beads embroidered jewelry. 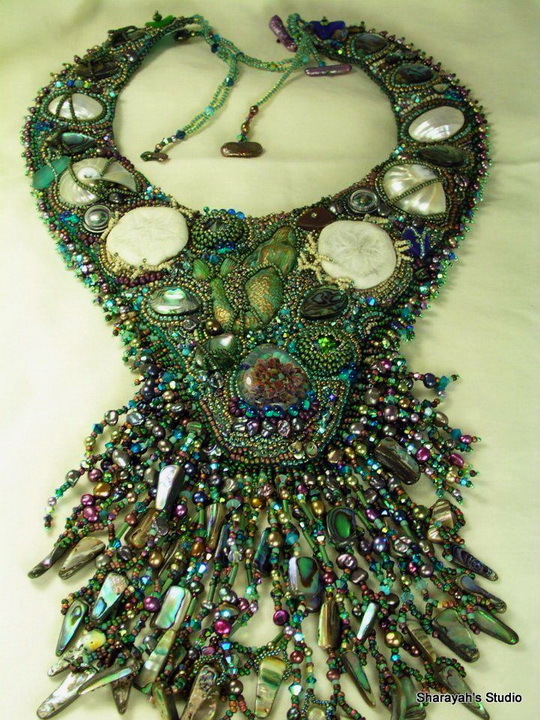 Her necklaces remind me some fantastic painting. 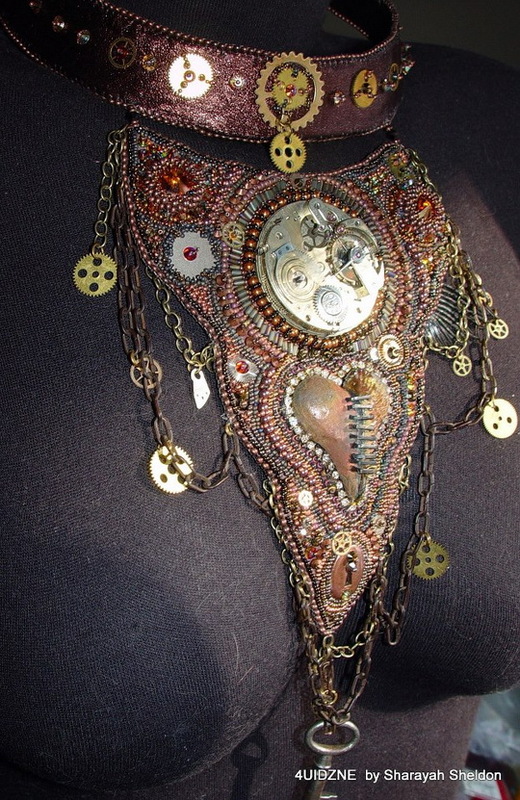 Sharayah, you are so talented. 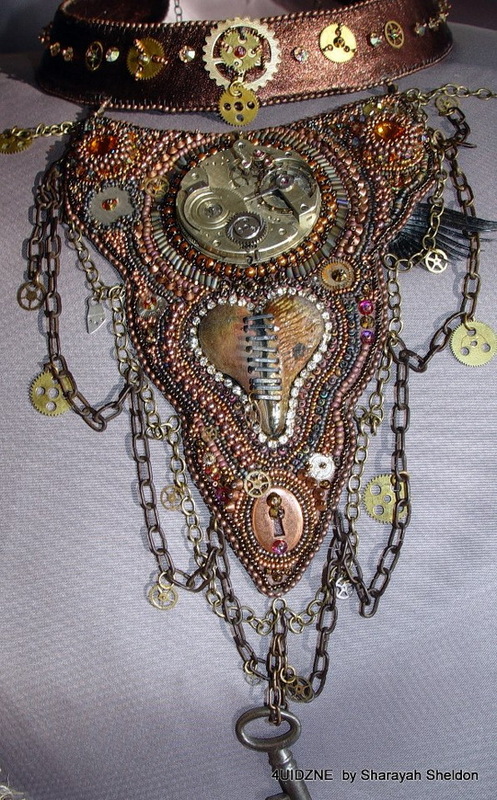 Your designs and skills are superb.